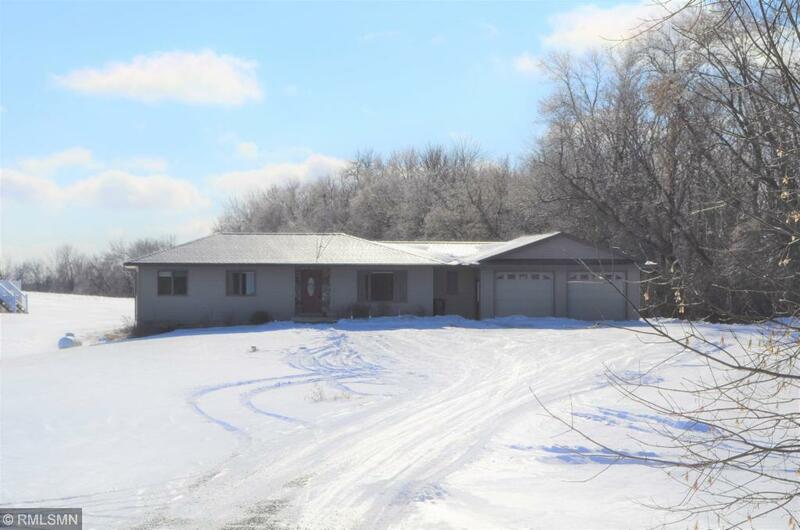 4 bdrm, 3 bath rambler on 4 acres! Home is move in ready. Private driveway opens up to home situated on 4 acre lot with trees and nice views! Home has been updated. Basement is partially finished with 2 bedrooms and 3/4 bath with sauna. Huge family room area ready to finish for extra space. Lots of storage throughout! Beautiful main level great room with arched wood ceilings, Gas FP, walk out to maintenance free deck and private views! Must See!